Who doesn’t love going to the theater? Watching a movie on the big screen is a whole lot of fun, but lets be real… it can be down right costly! 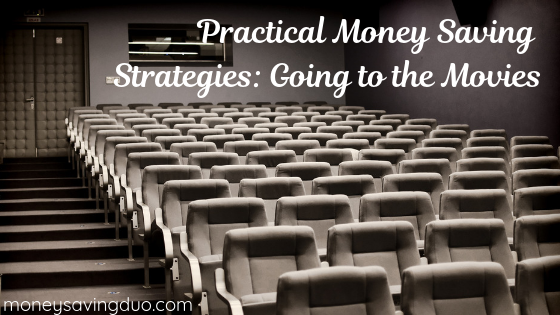 Luckily, we’ve discovered a few ways to save big at the movies. Ideal Theater in Clare, MI – Tickets are $5 for each adult, $4 for each child 12 and under. Crystal Box Office Theater in Crystal, MI – Tickets for the 7pm show are $5 each and only $3 for the 3:30 pm show. Concessions are also inexpensive – you can get a small soda and a small popcorn for only $3.25! Check for special offers and discounts. Even the larger theaters typically have discount nights or special events where you can see movies at a lower price or in some cases, even for free. Celebration Cinema, for example, offers a discounted movie every Sunday night and recently launched T.A.C.O Tuesdays (Tickets Are Cheap on Tuesdays). Both specials feature $6 ticket pricing. Celebration Cinema also features the FLICK Family Film Festival at select times throughout the year were kids 12 and under can go and see a movie for free. NCG Cinemas, with a location in Midland, Alma and Lansing, also features discounted ticket pricing on Tuesdays. Reel Deal Tuesdays allow you to get discounted tickets and concessions. We’re told ticket prices are only $5 on Tuesday; however, couldn’t confirm this on their website. Sign up for a reward program if its offered. Since Celebration Cinema is the theater in our town, we made sure to sign up for their rewards program. It didn’t cost us anything to sign up, but when we go to see movies we often receive special discounts on tickets or concessions. Sometimes we even get free concession items if we’ve garnered enough points. A couple of weeks ago, my youngest and I went to the movies and we received $4 off our tickets. Worth the free sign up if you ask me. NCG Cinemas also offer a customer rewards program. Eat before you go to the show. We know how hard it can be to resist that buttery popcorn you smell as soon as you open the theater door, but if you’re looking for ways to keep movies affordable, eating at home before you go can be a great way to save a few extra dollars. What are your favorite ways to save money at the movies? Share your top tips in the comments.